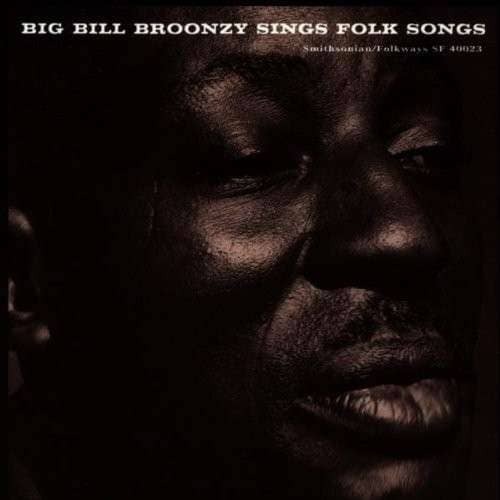 Of all the blues immortals featured on this compilation, Big Bill Broonzy was one of the very few born in the 19th Century: June 26, 1898, in Scott, Mississippi. 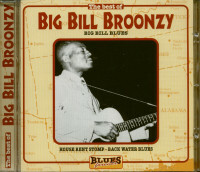 But Big Bill was no grizzled stick in the mud; when electric guitars came in, he was one of the first Chicago bluesmen to grab hold of one (at least until he toured Paris and London in 1951, where he reverted to his solo acoustic ways and somehow convinced his new European fans that he was the last surviving American bluesman). William Lee Conley Broonzy started out sawing a fiddle, switching to guitar after he moved to Chicago in 1920 and hooked up with medicine show veteran Papa Charlie Jackson. Soon Big Bill was recording for Paramount, debuting with House Rent Stomp in 1928. When he wasn't going by Big Bill (no last name back then) on shellac, he masqueraded as Big Bill Johnson, Sammy Sampson, and Big Bill Broomsley. 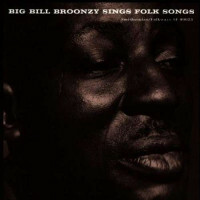 Broonzy worked with some fine pianists—Black Bob, Joshua Altheimer, Blind John Davis, Memphis Slim—and eventually graduated to full band backing during the late '30s and early '40s, when he cut some of his all-time classics for producer Lester Melrose: Just A Dream (On My Mind), When I Been Drinking, I Feel So Good, Key To The Highway, and the houserocking All By Myself. Broonzy stuck with an R&B-laced combo format during his postwar years at Columbia. 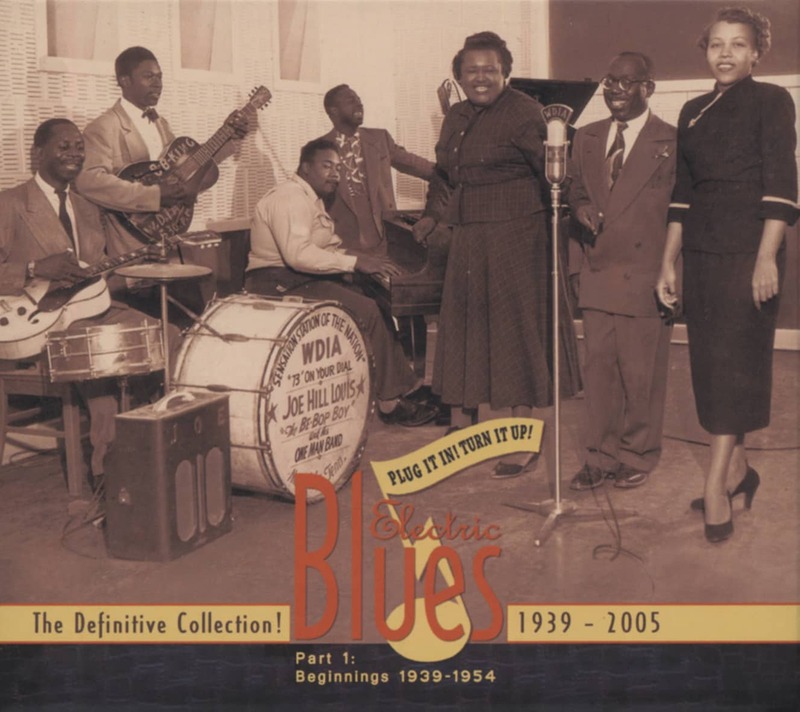 Rambling Bill, waxed December 19, 1947 in the Windy City, was billed to Big Bill & His Rhythm Band, consisting of trumpeter John Morton, alto saxist Sax Mallard, tenor saxman Bill Casimir, pianist Bob Call, bassist Ransom Knowling, and drummer Judge Riley. Broonzy wields his electric axe, though he keeps it turned down to a polite level as he struts his stuff. The ubiquitous Melrose was still in charge. "Lester Melrose was a go-between man between Columbia, several different companies," noted the late Willie Dixon. Broonzy made a couple of full band dates for Mercury in 1949 before embarking for Europe and drastically changing his concept to a rural folk-blues mindset. Apart from three marathon sessions in late '51 for Mercury and a tough little '53 Chess date with longtime cohort Washboard Sam, Big Bill's studio bandleading days were over. He was the first bluesman to write his memoirs in 1955 before throat cancer stilled his powerful voice, finishing him off on August 15, 1958. Muddy Waters, one of many bluesmen Broonzy graciously welcomed to the Windy City when they first hit town, cut a tribute album for Chess the next year. Customer evaluation for "Sings Folk Songs"